Over the past 2 years together we've raised $42,467 for the McGrath Foundation. 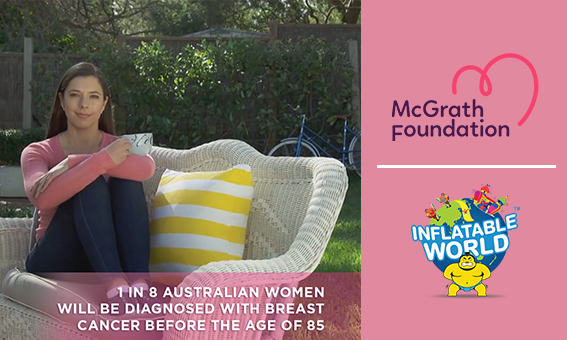 Each year we hope our continued partnership can help fund more McGrath Breast Care Nurses to support patients and their families experiencing breast cancer. Welcome to Inflatable World Oz! Home to the Biggest Indoor Inflatable Playgrounds in Australia. Great for Birthday Parties, Corporate Functions, Holiday Programs and General Fun! Find your nearest stadium above by searching your State, Postcode, or clicking through the map. 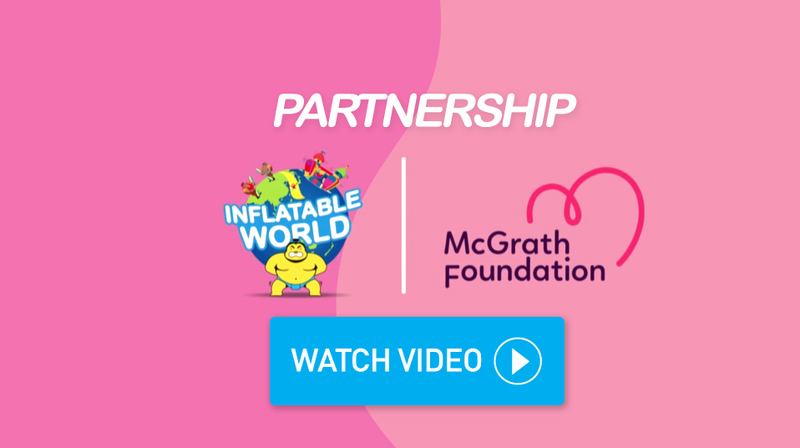 Inflatable World Opportunities Our business model is based around partnering with existing Indoor Sports operators to utilise their facilities on weekends and school holidays. With this model in mind our partnership requirements are for operators with such Indoor Sports facilities that have available space, a proven history in the delivery of active products and a high level of customer service experience. If these requirements are appropriate for you please do not hesitate to make an enquiry here.